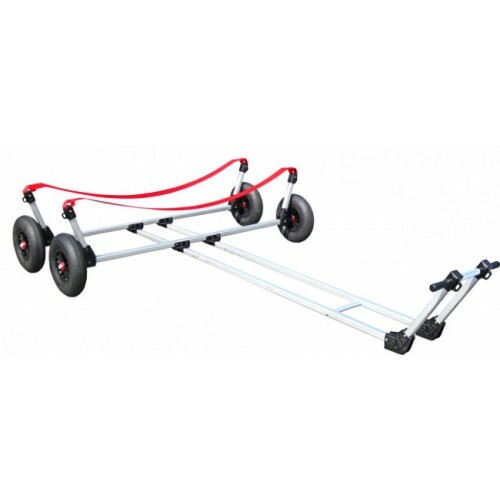 Tube and sling lengths are custom fitted for each boat type resulting in an easy to handle, balanced, load. Joint fittings are through-bolted to provide increased torque stability. 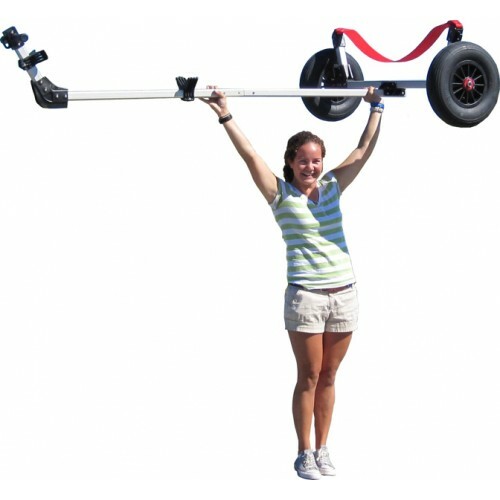 Non-stretch, extra strong, sling cradles your boat for extra support. 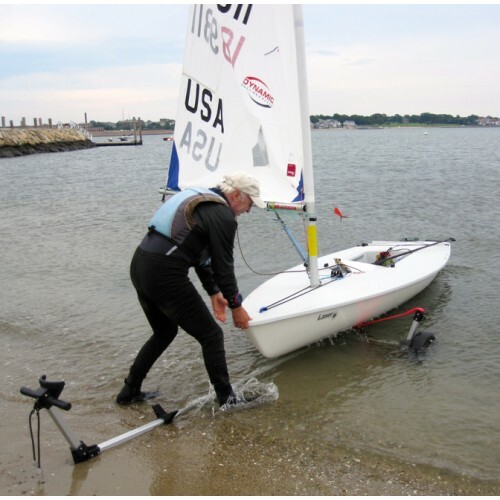 Tubes are covered with a plastic hose to prevent your boat from coming into contact with the aluminum core. Sling and handle fittings use eyelets for securing your boat. Extra tie down using the handle fitting eyelet prevents slipping on steep ramps. Easy breakdown using snap buttons on wheel shaft and tongue tube. Axle tube cross fitting uses easy to operate wingnuts. 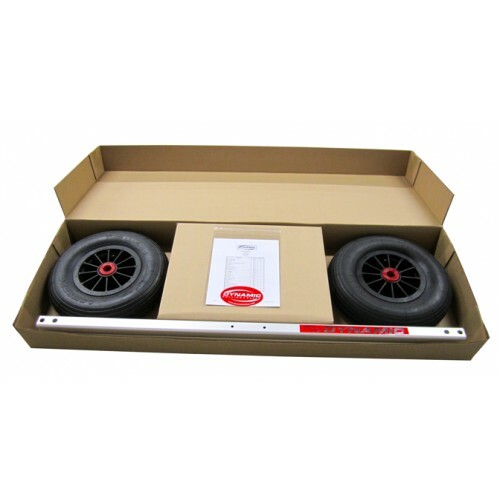 16” x 4” wheels are pneumatic, non-corrosive and can optionally be secured to the wheel shaft using included screws. Tire pressure can safely be lowered for use in soft sand. Joint components are tough, UV-protected, injection-molded and through-bolted. Boat friendly rounded corners are structural-grade, anodized aluminum. Delrin ball bearings in wheel hub result in easy rolling on rough surfaces or deep sand. Strong, 3” non-stretch, polyester sling(s).